As expected, Verizon has introduced its XLTE service, which uses the carrier's 700MHz spectrum and AWS spectrum, to offer customers faster data speeds. And with the AWS spectrum being used to ease the congestion on Verizon's overcrowded LTE pipeline, Big Red users should see more consistent LTE service. In many areas, Verizon has doubled its bandwidth to offer enhanced LTE service. XLTE ready devices automatically support both AWS and the 700MHz spectrum in XLTE cities, and those with an XLTE enabled handset will get the full benefits of the new service. This usually happens during times of heavy demand for the network, like the morning and evening rush hours. Those with a 4G LTE phone that uses the 700MHz spectrum in an XLTE market, will still be able to take advantage of the new service. How? Because those with an XLTE enabled phone will be moving from the 700MHz area to the AWS spectrum, that frees up plenty of capacity for those customers on the 700MHz pipeline. Most of the phones sold by Verizon support XLTE such as the Samsung Galaxy S4, Samsung Galaxy S5, Samsung Galaxy Note 3, most of the latest Motorola DROID models, the Apple iPhone 5s and the Apple iPhone 5c. In fact, over 35% of the phones that employ the Verizon network can take advantage of the extra capacity created by the use of AWS. Nokia Lumia Icon and Samesung Ativ SE are also included. 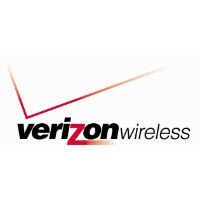 There is a link on VZW's website for where it is active and what phones are compatible. I found out the other day when I ran a speediest in a place in Palo Alto, CA that I would ordinarily see sub-1.0 Mb/s speeds - web pages were zipping open similar to what I was seeing back when LTE was first rolled out (30 Mb/s). The speedtest results brought back 36 Mb/s down, 8 Mb/s up and latency of 55 msec. My only concern is that new users will migrate to the AWSLTE/XLTE, and things will slow down again. But for the moment, life is fast again. Verizon is KING. They actually planned this. 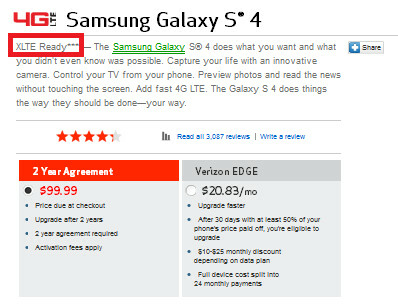 They know their network is getting used by it's customers so the drop XLTE... Verizon is the best as I always said. Ok, hate to give up my Note 2 for an S4 but, not shelling out for Note 3 if Note 4 is about 4½ months away. Although, I could really 'cheap-out' and get an iPhone 5C; I'm sure there are plenty of unwanted ones out there on Craigslist Land. Get a used Note 3, it's blows away the Note 2. I have had the Note 2 and now Note 3. The screen, speed and battery is improved. I know but I'm not going to spend $450-$500 if I'm going to turn around in Oct/Nov and spend $750 on a new Note 4. Besides, I need to get an XLTE device on my account before Verizon turns around and blocks that ability in an effort to get me to relinquish my Unlimited Data. Kind of what they tried to do when they were transitioning from 3G devices to 4G LTE devices; I was told I could only have a "3G" phone because my old stand-alone Unlimited Data Plan for PDA Smartphone (No Voice) was "incompatible" with 4G LTE. None of this matters whatsoever, because who can really take FULL advantage of this 'incredible speed' with data caps in place? I go on one vacation, use GPS to help get me there, take pictures and videos and want to add them to Dropbox for my family to see.......and BAM!!! My entire monthly allotment of data used. How about keeping things consistent, usable and affordable, and provide me with unlimited data so I can truly use my phone for what it's made for. Thanks.